Lock N Store offers quality storage units for homeowners and businesses. We provide a secure facility with flexible options for you to store items. 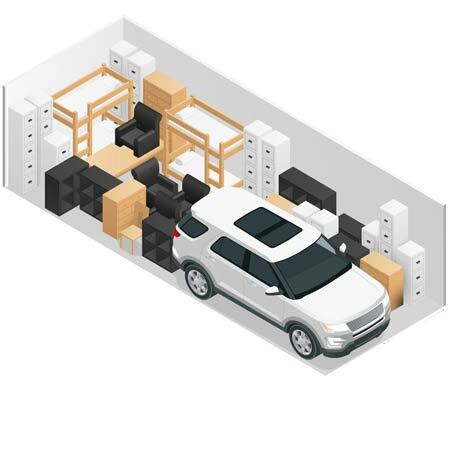 Whether you have short or long term storage needs, we have the right storage solution for you. Here are some key reasons why you should choose Lock N Store and our storage units. The safety and security of your belongings is our number one priority. Lock N Store provides a secure and protected location for your items. We provide 24/7 monitoring of our facilities for your peace of mind. Each storage unit is fitted with alarms, with customers allocated their own personal access code. A $5,000 insurance cover for your belongings is also included when renting our storage units. No matter how small or big your items are, we have the right storage units for you. Our units come in different sizes and you can find one that’s ideal for your needs. At Lock N Store you can choose from 1.5m x 1.5m storage units all the way up to 4.3m x 7.5m, with several other size options in between. Your items will be kept in your own individual unit and not mixed with other customers’ belongings. With Lock N Store, you can visit our facilities and access your items at a day and time convenient to you. Our storage units can be accessed Monday to Sunday between 6am and 9pm. At Lock ‘n’ Store we are also your go-to experts when it comes to moving. We can help you with handling and storage tips, as well as packing materials. Additionally, we can assist you if you wish to hire a moving truck, van at ute. Our sister company, Zippy Rentals, which is co-located at our sites in Rockingham and Mandurah, offers flexible vehicle hire at great rates. If you would like more information about our storage units, contact us today! Our friendly customer service team will be more than happy to assist you with any questions you have.